Sorry things have been dead here for a while. I am have been swamped drawing. But I am back to getting my website current and alive again. Yay! Things are going well with Super Dinosaur, I'll be putting a bunch of art from that up here. Still working on the gallery page, but you can check out what's there so far, or go to my DeviantArt page if you want to see more art. 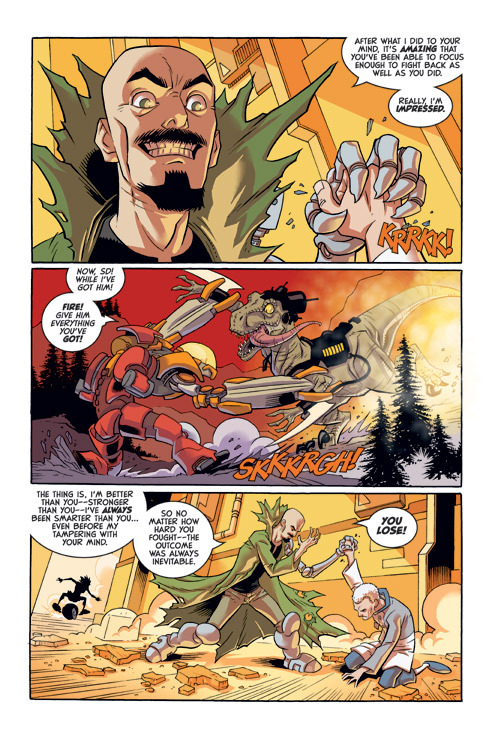 Here are a couple pages from issue 5 (in stores now!). Maximus' finally gets whats coming to him! Thought you'd been eaten by a wolf... or dinosaur... or a sea bear! Can't wait to see more SD art! Great work. You do the Lansing area proud.